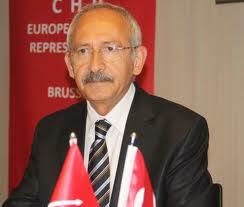 Kemal Kılıçdaroğlu, the leader of the Republican People’s Party (CHP), has issued a call for all Turkish citizens to act with common sense in the face of growing public outrage against escalating acts of terror, which have in some places turned into violent attacks on political parties and media organizations. “Today is the day to display our years-old brotherhood once again to the world. 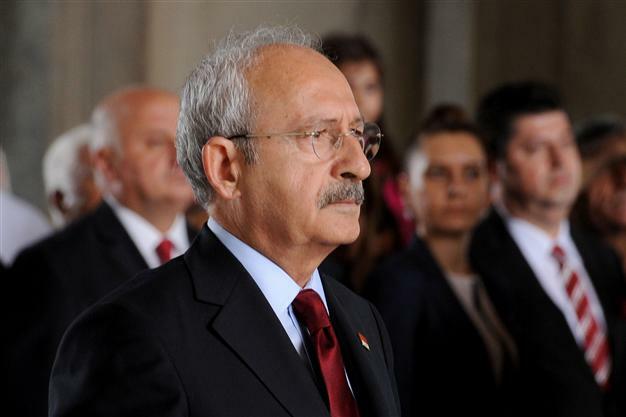 I invite my citizens to act with common sense,” Kılıçdaroğlu said Sept. 9, through his Twitter account. Kılıçdaroğlu’s message came after anti-terror marches held across Turkey turned into violent attacks on the bureaus of the Peoples’ Democratic Party (HDP), Kurdish citizens living in the Western parts of the country and media organizations. Turkey is passing through a tough test to maintain societal peace, Republican People’s Party (CHP) leader Kemal Kılıçdaroğlu has said, amid ongoing tension following deadly terrorist attacks that sparked violent public demonstrations across Turkey targeting citizens of Kurdish origin. “We have given 107 martyrs. We attended another funeral today. Turkey is passing through a difficult test to maintain its societal peace. This test is for all of us. We must pass this test for our republic, for our children, and for contemporary Turkey,” Kılıçdaroğlu said at a press conference in Ankara on Sept. 9. The people must be careful not to fall into the “traps of provocateurs” in their anti-terror protests, Kılıçdaroğlu also said. “Turning our demonstrations into violent acts would only serve the terrorist organization. Let’s denounce terrorism, let’s march against it with our flags in our hands, but let’s do all of this in line with our values,” he added. “Our 77 million people should be very sensitive about this. I particularly call on my young friends: You are the future of this country. No one has even the smallest doubt about your love for your homeland. Please do not be provoked,” Kılıçdaroğlu said, stressing that stoning buses carrying Kurdish citizens or bureaus of political parties would lead to division in society, in line with the PKK’s objectives. “I’d like to see the president make such calls [for calm]. I’d like to see him defending brotherhood, promoting the unity of the country, and calling on youngsters to stay away from provocations,” the CHP leader said. “Our views may be different but we are breathing the same air. We should be able to be together in both our bad and good days,” he added. Clearly referring to the Peoples’ Democratic Party (HDP), Kılıçdaroğlu also called on all political parties to put a distance between themselves and terrorist organizations. “Terror is a crime against humanity. Full stop. We will stand against terror. Full stop,” he said. Referring to recent attacks on the media after daily Hürriyet’s headquarters were violently attacked for the second time in two days, Kılıçdaroğlu emphasized the need to protect freedom of expression for a healthy democracy. “The media and the press are our eyes and ears. We may or may not buy a particular newspaper. We may or may not read it. But we will not accept any pressure on the media. The media must freely work,” he said. “Accusing and attacking the media is never right. We cannot accept this,” Kılıçdaroğlu added. Gallery | This entry was posted in Uncategorized and tagged chp, EU, europe, kemal kilicdaroglu, turkey. Bookmark the permalink.